We love this grey! 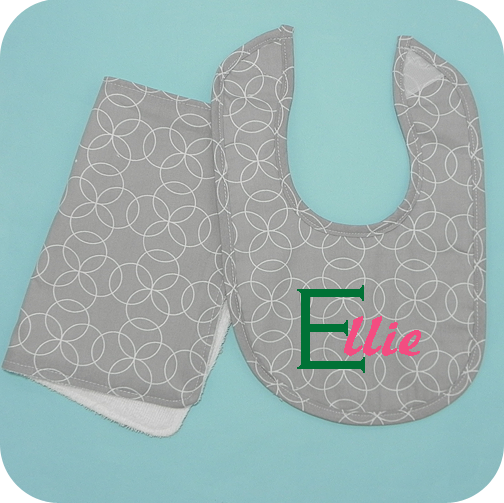 It's so popular for babies, and the grey circles fabric won't disappoint. 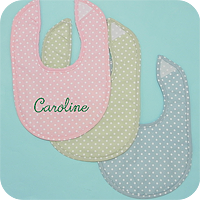 These sweet little bibs are just begging to be personalized! Made with a layer of high quality cotton broadcloth fabric in the freshest print and backed with soft terry cloth. Neat binding with the same cotton fabric as the front. We decided to be a little creative with color and fonts for our sample above using heat transfer vinyl. 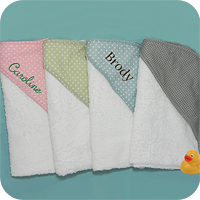 These baby must-haves are just begging to be personalized! 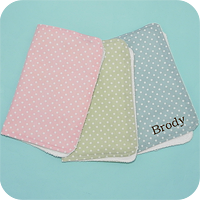 Made with a layer of high quality cotton broadcloth fabric and backed with soft terry cloth. 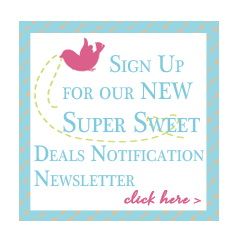 Measures approximately 10"w x 12"